He was describing how the makeup department had to glue a fake beard over his natural beard for his role on the TV series Knightfall when he let it slip that he needed to keep the real beard "for something else." Jimmy immediately asked if Mark meant the upcoming new installment of Star Wars, but the actor played it coy, only saying, "Well it’s NDA -- that’s non-disclosure agreement." He then gave a comical big wink out to the audience, who cheered. Jimmy said, "So we know then maybe that Luke Skywalker has a beard still and has a body still in the next movie." Mark looked puzzled and asked, "Which movie?" 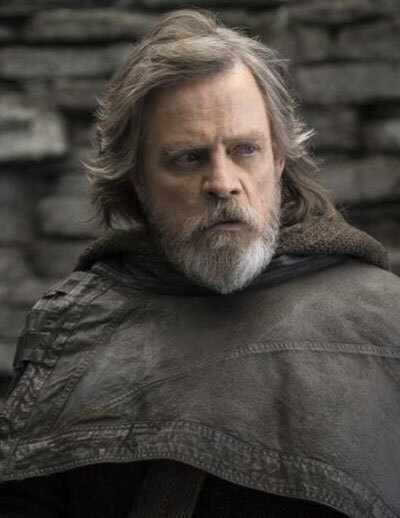 Check out the video below -- do you think Luke Skywalker will make an appearance in the new movie based on what Mark said? I hope it means he didn't actually die in the last film. That last one was the worst Star Wars so far, other than the three prequels. To me, the prequels are better than this junk they're calling Star Wars now. ???? Constance, you mean the ones with Anakin Skywalker? Or the ones with Luke and Han? The ones that were done after the originals are the prequels. They're basically unwatchable.